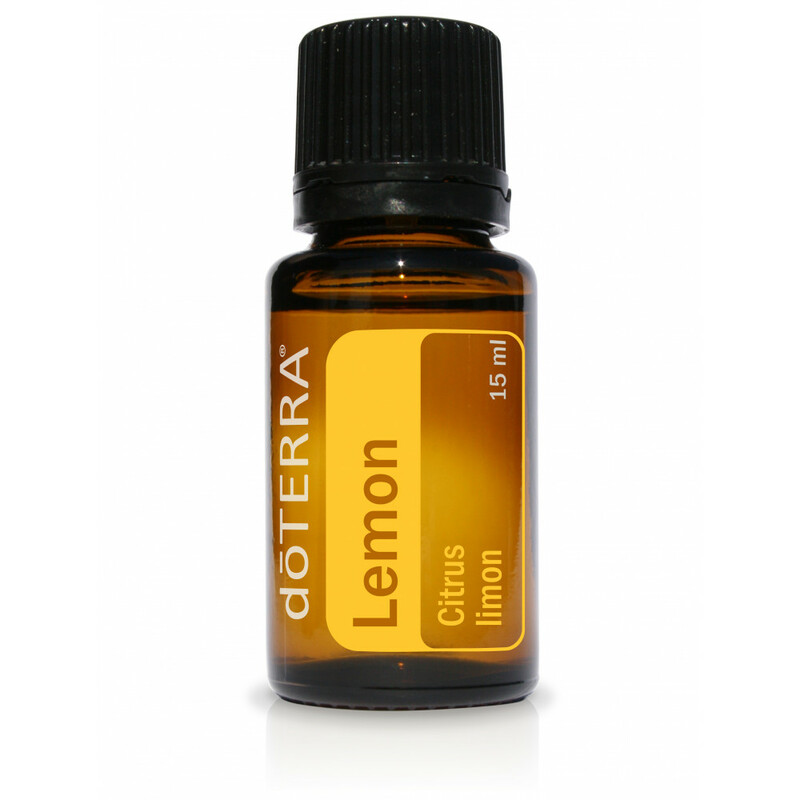 Lemon is known as a powerful aromatic, topical, and internal cleanser and can be used to complement many other oils. Due to its high limonene content, Lemon is a powerful antioxidant that can help ward off free radicals. Taken internally, Lemon provides cleansing and digestive benefits, can soothe an irritated throat, and supports healthy respiratory function. When diffused, Lemon is very uplifting and energizing and has been shown to improve mood and cognitive ability.Diffusing lemon in a room can cleanse the air and uplift mood. It can also be used on surfaces throughout the home as a non-toxic cleaning booster. This essential oil powerhouse is cold pressed from lemon rinds to preserve its delicate nature and potent properties. The top-selling dōTERRA essential oil, Lemon is a powerful cleansing agent that purifies the air, disinfects surfaces, and can be used as a non-toxic cleaner throughout the home. When added to water, Lemon provides a refreshing and healthy boost throughout the day. Lemon is frequently added to food to enhance the flavor of desserts and main dishes.